Who: Groundation Grenada in collaboration with the Youth Advocacy Movement (YAM) of the Grenada Planned Parenthood Association (GPPA). 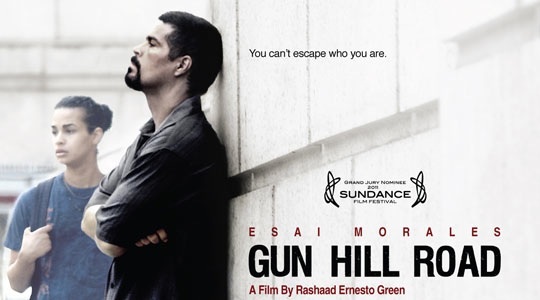 What: Screening of “Gun Hill Road,” an 88 min feature length narrative film that centers on a transgender character. When: Monday, 19 August at 5:00 p.m. to 7:30 p.m.
On 22 July, 17 year old Jamaican transgender youth Dwayne Jones was brutally murdered by a mob after it was “discovered that he was a male dressed as a girl” at a party. In light of this, Groundation Grenada and YAM will be joining countless other social activists across the Caribbean region and Diaspora on Monday 19 August, collectively doing one action in honour of the lives lost to violence of all forms in the region. This is also part of a movement to call on all CARICOM citizens to take a stand and recognise that everyone has a right to a life free from violence. Please RSVP to the contacts below and we kindly ask that you make a very special effort to be on time. We anticipate your usual co-operation. Light refreshments will be provided for sale. Groundation Grenada is a youth led social action collective, founded in 2009, which focuses on the use of creative media to assess the community’s needs, raise consciousness and act to create positive radical growth. It pursues its mission online, through Groundationgrenada.com, and has begun expanding to live events and special projects across platforms. Groundation Grenada’s website supports both local and diasporic voices, acting as an interface to connect youth who are hungry for innovative change.It also utilizes the rich possibilities of virtual capacity building, which has been instrumental in the growing surge of momentum around its initiatives. Since 1989, YAM has been an innovative approach to addressing adolescent sexual and reproductive health (ASRH) needs in Grenada. YAMs lead IPPF/WHR-Caribbean youth work by using media, technology, peer education and advocacy to provoke change in young people, Family Planning Associations (FPAs), education systems, decision makers and governments. Locally, YAMs work with schools, in the community, and in the Family Planning Associations (FPAs) to educate youth on ASRH. Malaika Brook Smith Lowe, Director , Groundation Grenada.